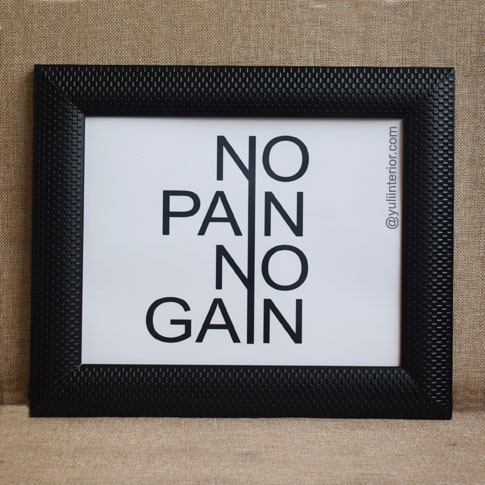 Unique is the word for this YI No Pain No Gain statement wall frame. Note: Can be made Vertical. Contact Us.